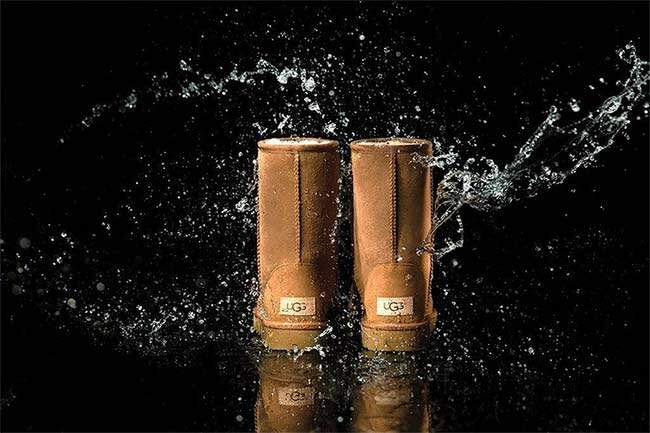 The UGG boot has been discontinued… | HELLO! Sorry Ugg fans – the Classic Ugg boot is no more. It has been confirmed that the iconic footwear is being discontinued, but it's not all bad news as its set to be replaced with a new and improved version. Yep, the UGG Classic II is taking its place and is promised to be more weather-durable than its predecessor, so it'll be more withstanding to rain and snow. The new design doesn't stray too much from the original – the boots now have a waterproof finish and Treadlite soles which should be more hard-wearing and better suited for both wet and dry surfaces than the original UGG Classics. UGG boots have long been an iconic piece loved by celebrities, with Rosie Huntington-Whiteley recently named as the brand's first ever global women's ambassador. Speaking about her love of the brand, Rosie admitted that she has always worn them because she loves the comfort they offer. "Comfort is really important to me, and it's important to everyone," she told Vogue. "But there has to be some compromises in certain situations. Sky-high heels always look the best, but they are never going to be the most comfortable shoes you own." As for how Rosie styles her Classic Uggs? "There's not really any difference in how I'd wear Uggs now versus how I wore them when I was younger," she admitted. "In my free time I'm a jeans and t-shirt girl, and that's exactly how I'd wear my Uggs. "Obviously, my red-carpet style, or my on-the-go style is a little more dressed up, but that's what's really fun about this partnership; because it represents a side of me that people don't usually get to see." UGG-style sheepskin slippers for £15!